Eating your lunch at your desk might not sound so good anymore. 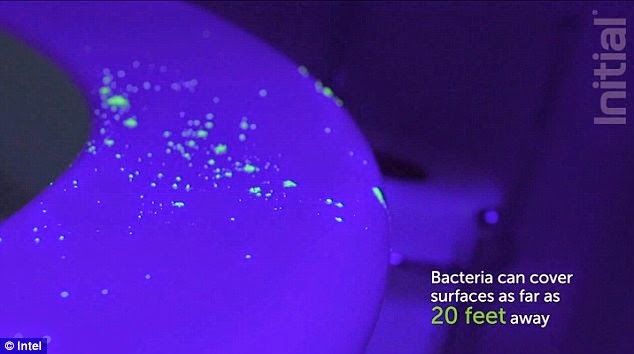 It might look innocently clean right now if you look at it but a gruesome new video shows how it could house millions of invisible bacteria all the way from the bathroom. Not just that but these bacteria could easily spread to your hands and mouth! 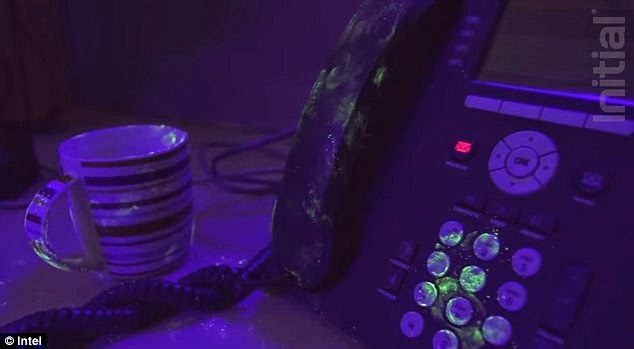 One in every four office workers fail to wash their hands after going to the loo and because of that, anything from the doorknob to the keyboard and the computer mouse that this worker touches is filled with millions of bacteria as bacteria can cover surfaces as far as 20 feet away. 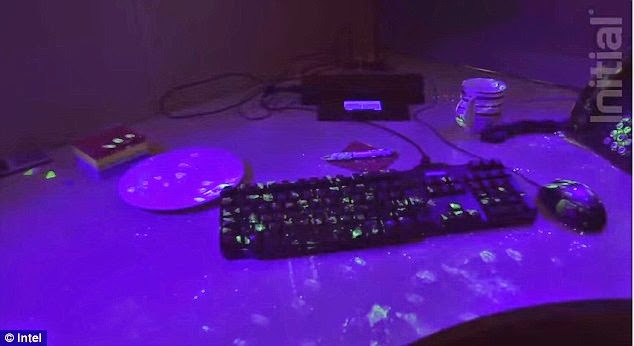 Bacteria spreads throughout the office and previous studies have revealed 3,000 organisms per square inch on a keyboard and over 1,500 on a computer mouse. Therefore touching and using the keyboard and then, later eating lunch transfers the bacteria from the hands and into the mouth. The use of hand sanitizers throughout the day can immediately stop the spreading of the bacteria, experts would say. In order for one to avoid becoming ill, experts have revealed to the viewing public the various and best ways to try and remain as germ-free as possible. Professorial Fellow at the Royal Society of Public Health Dr. Lisa Ackerley warns people of the “sneeze effect” of the flushing of toilets. If one fails to put down the toilet lid down before flushing, bacteria would be sprayed and would cover surfaces as far as twenty feet. 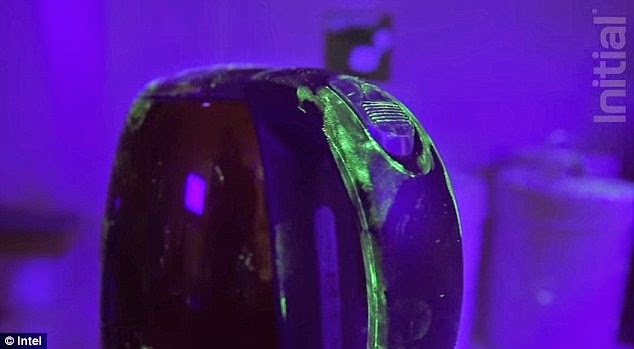 Researchers in the US found that when they contaminated a single doorknob or a table top with a ‘tracer virus’, it would spread throughout an office, hotel or healthcare facility within only two to four hours. Dr. Ackerley continued that in studies, over a course of a day, one might be picking up lots of bacteria and suddenly having lunch at your work desk without caring to wash hands first could basically transfer those millions of bacteria into your hands then mouth. Simply washing your hands is the most effective and efficient way to stop infection according to Dr. Ackerley for around half of the illnesses can be reduced by people who wash their hands effectively. It is said that only 20 seconds of hand washing is already enough to stop the germ’s journey.